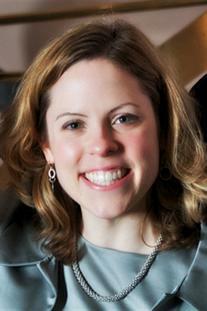 Amy A. Caudy is the Lewis-Stiger Fellow at the Lewis-Stiger Institute for Integrative Genomics at Princeton University. Her research focuses on the function and replication of mitochondria in yeast and mammals. Combining methods from genomics, genetics, and biochemistry, Caudy's laboratory seeks to understand the regulation of mitochondrial levels, identifying new genes required for mitochondrial organization and biogenesis using screens as well as computational predictions of gene function.